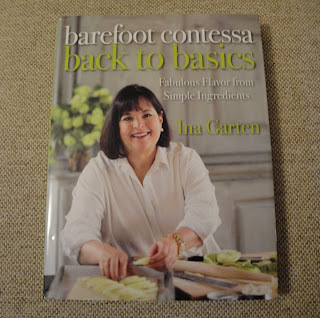 On Thursday, November 29, 2012 I had my Christmas gift giveaway for Ina Garten Back to Basic Cookbook. Today is the day I announce the winner! 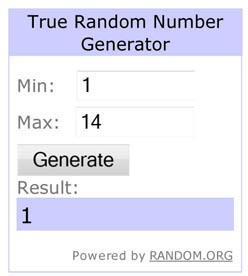 According to the "number generator" the winner is comment number 1. Christine, this is a generous giveaway and your Christmas spirit is showing! Thank you. Kimby, you are the winner! Kimby, please send me an email with your address so I can get your prize out to you as soon as possible. A big thank you to all who participating in the giveaway. Congrats to Kimby! Christine, thank you SOOOO much -- what a marvelous way to kick off the holidays! Christine, the cookbook arrived today (Dec. 6th) and it's absolutely gorgeous! I'm already dreaming "which recipe" to make first... :) Thank you for your kind, thoughtful giveaway gift! Enjoy your new cookbook. Thank you!